We are right in the middle of Princess Month with Netflix's release of She-Ra and the Princesses of Power, an updated reimagining of the '80s classic, She-Ra: Princess of Power. 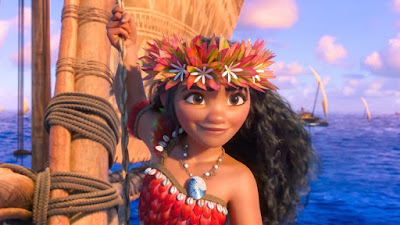 The first season of the DreamWorks Animation series dropped yesterday with 13 magical action-packed episodes. The captivating story drew me in from the very beginning and never wavered once. Even though the cast was altered to be more diverse by giving the characters different shapes, colors, and sizes, the focus was never placed on their diversity and instead on their desires and stories, just as it should be. The daily character guides that the show's creators unveiled on social media before its release were a big help in keeping track of their names and attributes so that I could place all of my focus on the evolving the story. 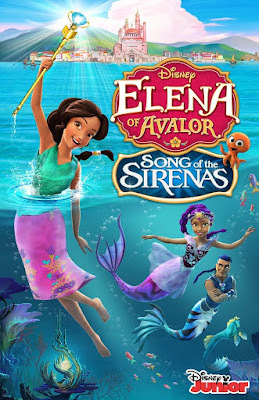 Adora, the main character in She-Ra and the Princesses of Power, is voiced by Aimee Carrero, who is already known for her role as Elena of Avalor. Even though I definitely heard Elena in her voice, the two princess are very different. Aimee gave a brilliant performance that was full of emotion and inner strength. Her subtle shifts in mood and tone as she speaks are better suited to more expressive characters like Adora who don't have a semi-permanent smile on their face like Elena. The series started out like the original version with Adora raised by the evil Horde while unaware that they are evil. This time, however, her transition from evil to good was not a clean break. 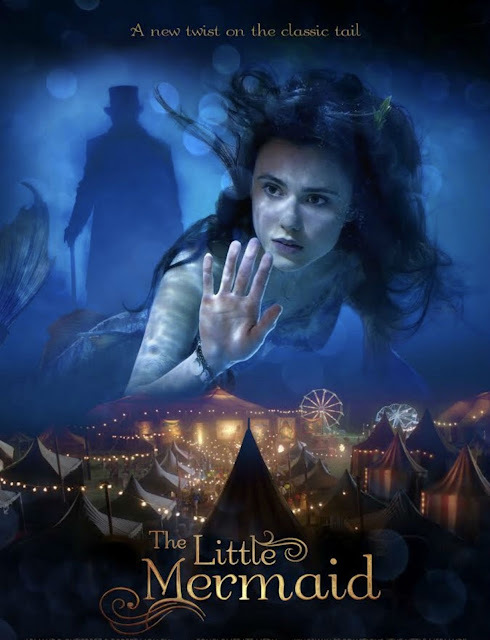 She struggles with leaving her friends and the only family she ever knew, just as anyone would after learning they had been brainwashed for years. 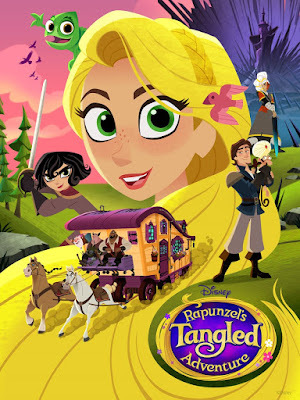 This struggle is personified by her best friend Catra, who is promoted to Force Captain in Adora's absence. Shadow Weaver, their adoptive "mother," refuses to let Adora go, sending Catra on countless missions to bring her back refusing to acknowledge Catra's abilities all the while. The fact that she unapologetically picks a favorite "daughter" demonstrates just how dysfunctional of a family the Horde was for Adora. 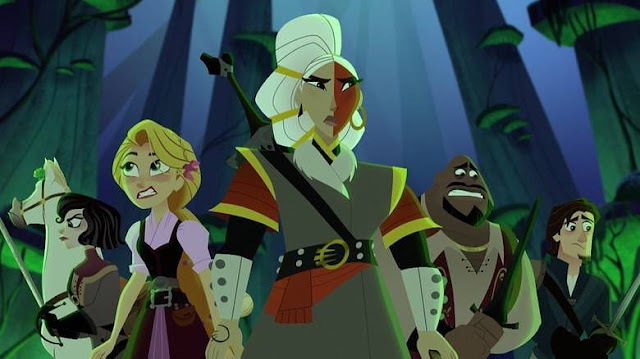 Even though the show has a large cast of characters, it did a terrific job of introducing them in bite-sized chunks, providing just enough time to get to know her and her purpose in the world of Etheria. 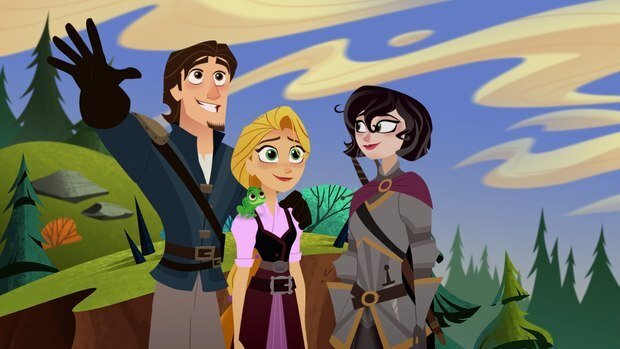 It was established early on that the core cast is Adora, Glimmer, and Bow. I loved how the core group because they balanced each other out. Adora acts a lot like Ariel or Starfire after leaving the Horde because everything is new to her. She was raised in the Fright Zone and therefore knows absolutely nothing about the outside world. Glimmer is a fiercely loyal friend who is always trying to prove herself to her powerful mother, which is why it took her so long to warm up to Adora. Bow served as a mediator because he is the only one who is not a princess, so he is willing to take more time to understand those who are different and have trouble fitting in like he does. This doesn't always mesh with Glimmer's possessiveness over him, and she often gets jealous if he pays too much attention to someone else. Not all of the other princesses were immediately appealing. Mermista, who was voiced by Vella Lovell who plays Heather in Crazy Ex-Girlfriend, acted a little too much like a caricature of Heather with her gargantuan levels of snark and constant groaning. Entrapta is also pretty annoying at times, but her inability to distinguish between right and wrong becomes a big turning point in the show. It is a bit odd that Netossa and Spinnerella were established as inhabitants of Glimmer's castle early on but never actually helped the princesses fight until the end. Even though many people had reservations when the character designs initially, the animation looks beautiful in action. The characters are very expressive. I loved the little details they included in Glimmer's design, such as the big sparkles in her hair and the tiny pink wings on her back that identify as the daughter of the winged Queen Angella. The backgrounds of the whimsical and colorful world of Etheria are breathtakingly gorgeous. 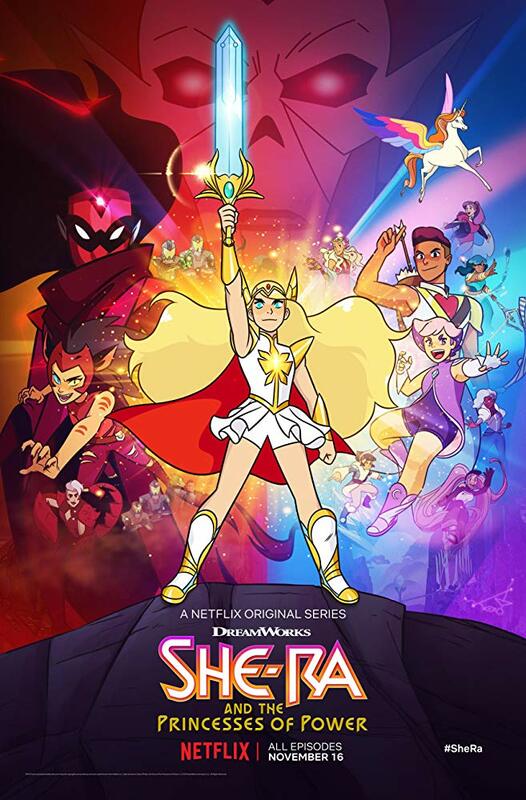 She-Ra and the Princesses of Power builds one of the loveliest and aesthetically pleasing fantasy worlds I have ever seen. The world is also filled with secrets derived from ancient people known as the "First Ones" with hidden technology and languages peppered throughout. The Sorceress from the original series is known as Light Hope in this version and appears only as an AI projection from the past, collecting data over the centuries. She-Ra's sword is revealed to be a relic of the First Ones, which is why it is so important. When Adora finds it, she transforms into the first new She-Ra after many generations. I love how they built a much richer mythology around the character than the original series. She-Ra from the '80s looked like Adora in a different outfit, but this She-Ra is several feet taller than Adora with longer blonder hair, bluer eyes, and an angelic golden glow around her. Unlike Mysticons, where the villains kept changing and weren't always consistent, She-Ra and the Princesses of Power is very direct about the main conflict. She-Ra must stop Hordak and Shadow Weaver, the people who raised her, from attacking the innocent civilians of Etheria. Hordak was not a consistent presence in this version of the show, which actually helped make him more mysterious. He came off as devlishly wicked and dangerous in a way that he did not in the '80s version. It helped that he had a smooth and commanding voice instead of snorting every other word. Shadow Weaver felt like an evil stepmother who abused Catra by making her feel worthless in comparison to her preferred child, Adora. This mistreatment is what pushed Catra over the edge, making it impossible for Adora to convince her to join the right side. It's interesting how Catra's relationship with Shadow Weaver parallels Glimmer's relationship with her mother, Queen Angella because both are always getting into arguments and placing themselves in dangerous situations to try to prove themselves. 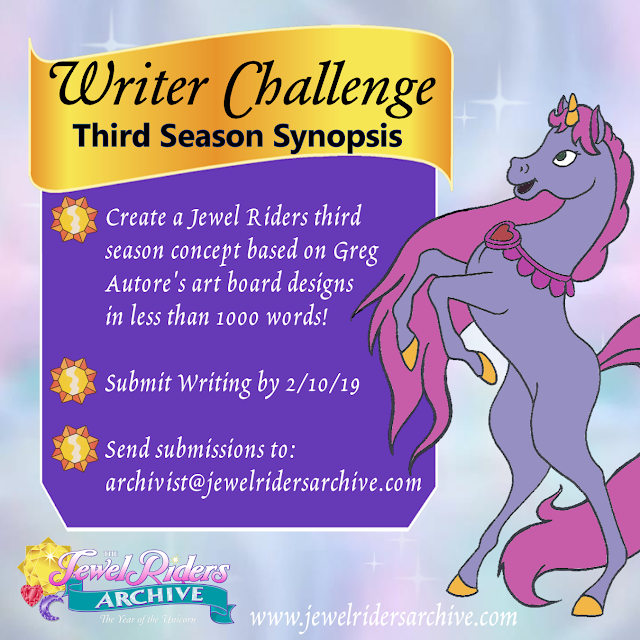 The difference, however, is that Queen Angella eventually comes around and accepts Glimmer for who she is, while Shadow Weaver continues to see Catra as inferior to Adora no matter what she does. This is the biggest benefit of aging the characters down to teenagers because this demonstration of good and bad parenting would not have been possible if they were already adults. She-Ra and the Princesses of Power is a perfect modern-day example of a Magical Girl series that encourages diversity and empowers girls. The pacing is exponentially better than the '80s, and the episodes flow into each other beautifully to tell one complete story. 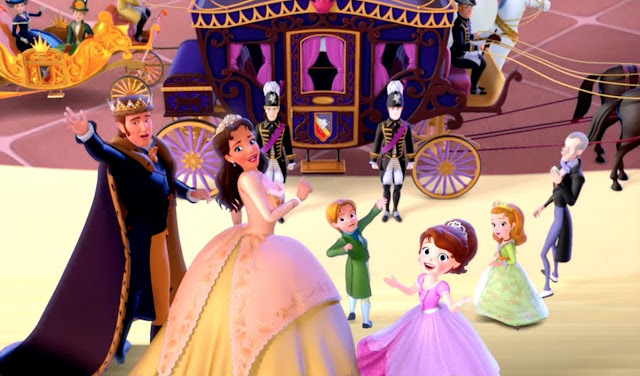 Each character was brilliantly cast and animated with unique features and expressions in an breathtakingly magical world. It teaches a wonderful lesson about what it means to be a family, even if you don't look always alike. It doesn't get too serious or too silly because the characters' personalities are different enough to play off each other in an entertaining manner while their goals are meaningful and important. I loved seeing Adora struggle between her past as a member of the Horde and her future as She-Ra and look forward to many more magical seasons.